Following in the footsteps of the Season 6A finale of Pretty Little Liars being super controversial due to its portrayal of a transgender character, the official social media account for Pretty Little Liars posted a seemingly transphobic tweet on Monday that has fans of the series angry again. The post in question, which has since been removed, read, "He. She. It. Charlotte." above a photo of Ali saying, "He's alive... and he's coming for us. Isn't he?" 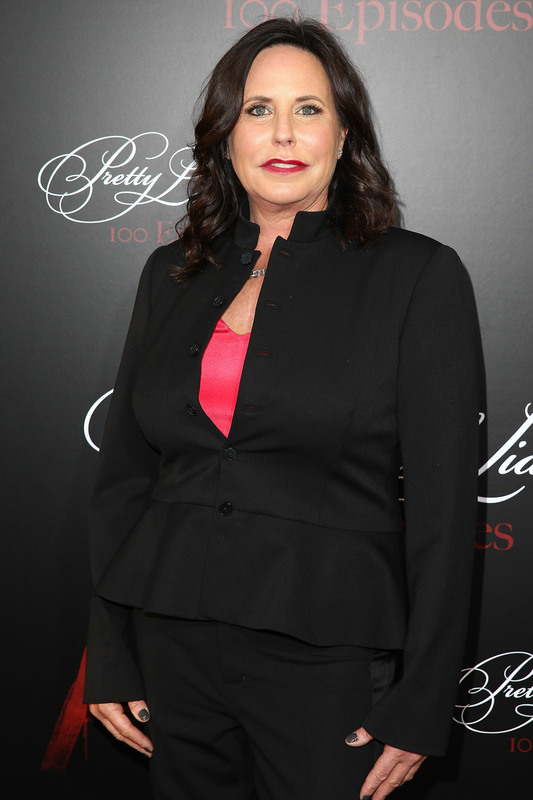 Like many fans, PLL creator I. Marlene King is upset about the post, too. On Tuesday, she shared the following via Instagram: "The Pretty Little Liars official Instagram account is not run by the show's creators, cast or crew. We too were upset by the post yesterday and were happy to see that it was removed." Upset fans tweeted that the post was transphobic because the text incorrectly referred to Charlotte, a transgender woman, as "he" and "it" in addition to the correct pronoun, "she," even thought it is highly offensive to refer to a transgender person with anything besides their preferred pronouns. During the August 11 finale, Charlotte was revealed to be A and many fans were not happy with the way the show handled the transgender character. The recent social media post just adds even more fuel to the fire when it comes to a sensitive topic and extremely important issue that should always be handled with respect and care. But some fans feel the tweet is being taken too seriously. Some are arguing that the post was making a reference to the time PLL character Hanna Marin said to A, before she knew that A is a transgender woman, "Him. Her. It. B*tch." Spencer also had a similar line in Season 5, wherein she said, "Yeah, maybe he… she… it… b*tch is." However, many fans took issue with that line's inclusion, as King told Buzzfeed that she's known that A is transgender for almost four years before the 6A finale. Thus, including the lines, is viewed by many fans as misgendering Charlotte even before she was revealed to be A. As mentioned above, the post was removed and seemingly replaced with this photo, which reads, "She came. She saw. She conquered." This tweet was in reference to lines Spencer and Hanna have said in previous episodes venting their frustration about not knowing the identity or gender of their tormentor. It was spoken by these characters a season before they found out that "A" was a transgender character. We updated the reference by including the name Charlotte because it was revealed that Charlotte is "A." Once it was tweeted we realized that it could be misinterpreted, and in no way wanted to offend anyone, so we immediately deleted the tweet. Whether you support King or not, I think we can all agree that issues as important and sensitive as being transgender should be handled responsibly and never send the wrong message.